A Flight Attendant may drop the last segment of a pairing to another Flight Attendant by calling scheduling no earlier than one (1) calendar day and no later than four (4) hours prior to the scheduled departure or the segment to be traded for all segments that depart and arrive within the United States, including Alaska, Hawaii and Puerto Rico. 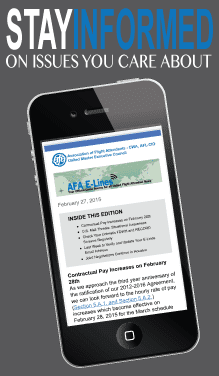 AFA E-Lines is a twice-weekly publication for United Flight Attendants. Your Local Council also produces a newsletter specific to their location and is published on varying schedules in each location. Understanding our Contract is a fundamental requirement for ensuring we receive proper pay, legal rest, schedule requirements and flexibility, job protections, benefits and many other important considerations. Use our feedback and forms page to submit issues such as a dispute, safety, occupational, reserve, EAP, Leave of Absence, etc. Your Local Council will review and evaluate every worksheet. No one knows your job and your issues like other Flight Attendants. Your elected Local Council is there for you 24/7 to provide support, information, assistance, and representation. The Association of Flight Attendants is the Flight Attendant union. Focused 100 percent on Flight Attendant issues, AFA has been the leader in advancing the Flight Attendant profession for 72 years. 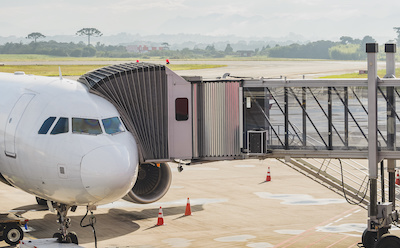 Serving as the voice for Flight Attendants in the workplace, in the aviation industry, in the media and on Capitol Hill, AFA has transformed the Flight Attendant profession by raising wages, benefits and working conditions. Nearly 50,000 Flight Attendants come together to form AFA, part of the 700,000-member strong Communications Workers of America (CWA), AFL-CIO. Simply put, the goal of flight attendants who become part of AFA-CWA is to negotiate better pay, benefits, working conditions and work rules at their airline, and to improve their safety on the job.